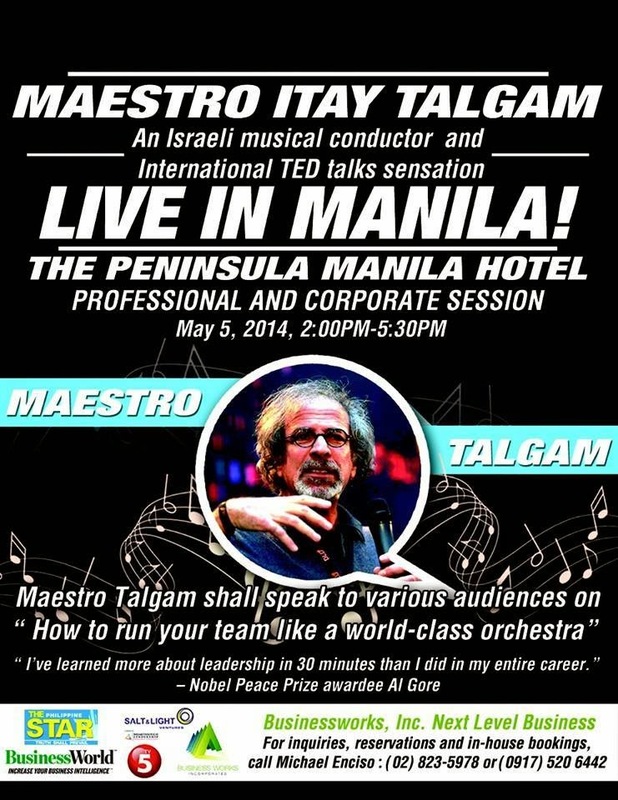 Join Maestro Itay Talgam LIVE in Manila! as he conducts a learning session (a first in the country) on May 5, 2014, 2:30 to 5:30pm at The Peninsula Manila Hotel. 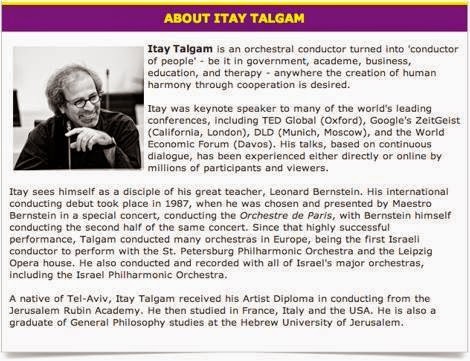 Itay Talgam's Maestro Programs teach leadership, communication, and collaboration. These programs come alive through the international TED Talks sensation's skills as an experienced and internationally acclaimed orchestra conductor. Participants point to the exceptional quality of the live dialogue he conducts - even with large audiences - as the unique element which allows individuals and whole groups to explore, question, learn, and be inspired. Contact (632) 823-5978 or email aikee@businessworks.com.ph to reserve your tickets now! Special packages are available for interested sponsors. 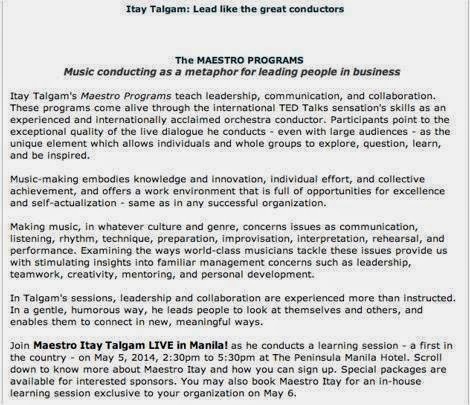 You may also book Maestro Itay for an in-house learning session exclusive to your organization on May 6. Check here for more details.